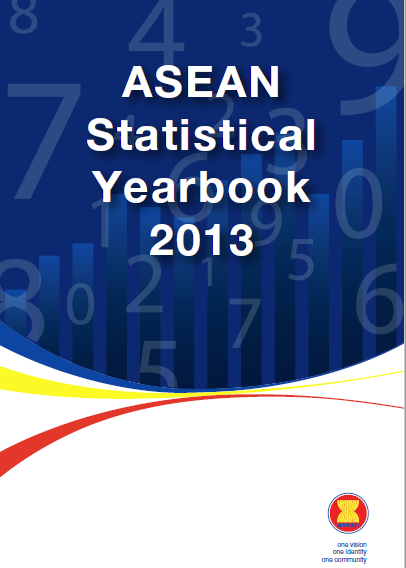 The ASEAN Statistical Yearbook (ASYB) 2013 is a compilation of relevant economic and social statistics of the ASEAN Member States, which should foster better knowledge and understanding of the region’s journey towards the ASEAN Community in 2015. It provides a picture of ASEAN’s performance in trade,foreign direct investment, transport and communication, tourism, and manufacturing sectors, in the backdrop of the region’s developments in demography, education, health, and employment. To our data users, may they find this as a useful reference as we continually seek their feedback to improve our statistics products and services.